As is often said, real estate is about location, location, location. We have extensive knowledge of the Louisville, KY area and can help you find the right home for you or the right buyer for your home. 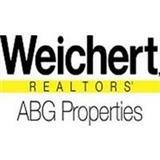 This is a one-stop real estate website for all your home buying and selling needs in the Louisville Metro area.